In this new format, Spot plays in all his favorite places-at the beach, in the garden, and at the park. Each page has writable "blackboard" pages with dotted-line shapes, suitable for drawing. Children can use the included color chalks to trace the lines as they learn how to draw. They can draw a red starfish, a yellow bee, a white sheep, and more! Unlike a coloring book, this is a drawing book that shows children how to turn outlines into recognizable shapes. 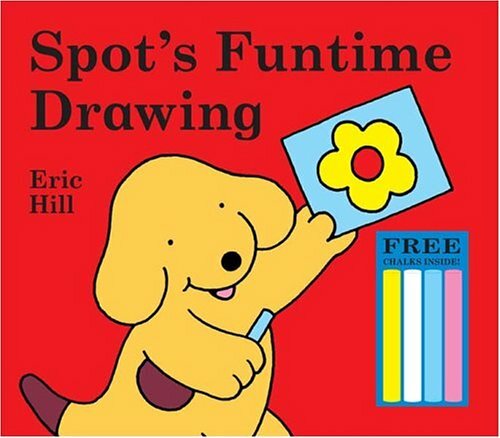 It's a fun new way to share in Spot's day!